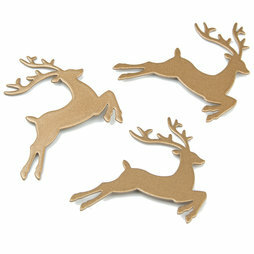 These delicate deer (or reindeer?) decorate your magnetic board or fridge not just around Christmas time but throughout the year. They shimmer in a classy copper and, thanks to a strong magnet, securely hold your cards and notes.